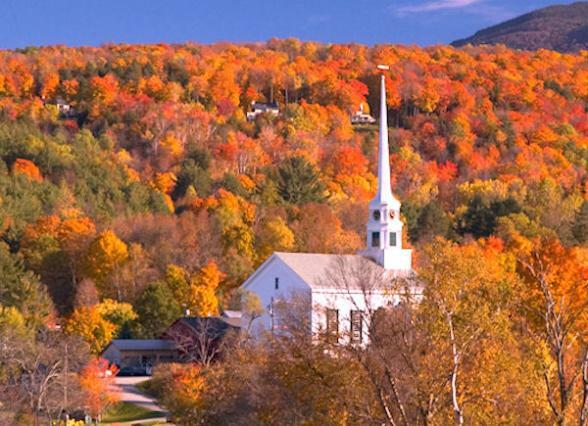 On this leisurely nine night fly-drive holiday of New England you'll enjoy the sights of historic Boston, gentle hiking in the majestic White Mountains of New Hampshire and the pretty villages of lush Vermont. 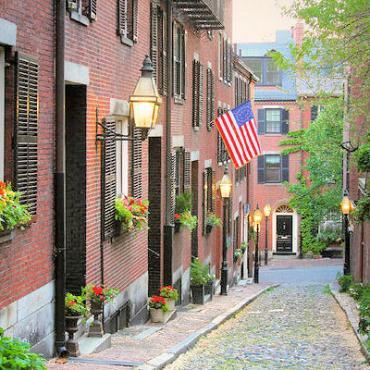 Boston perfectly mixes history and the present day. Cobbled streets lined with old fashioned lamp posts are partnered with towering skyscrapers just around the corner. 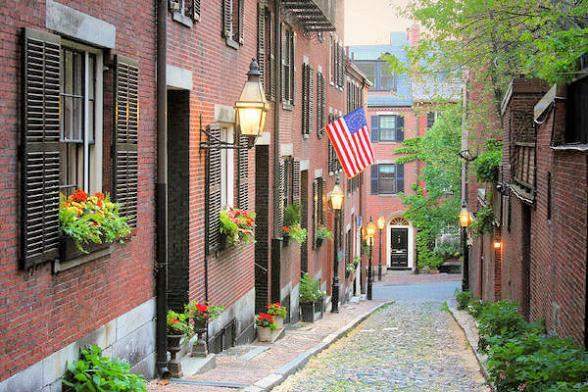 Orient yourself by starting your stay with a stroll along the Freedom Trail, a three-mile long red lined route taking in the sights of Old Boston. This brick-lined route that leads you to 16 historically significant sites — each one an authentic treasure. Explore museums and meetinghouses, churches, and burial grounds. Learn about the brave people who shaped their nation with the rich history of the American Revolution. Boston is great walking city with no need for a car, so enjoy mooching around the city. 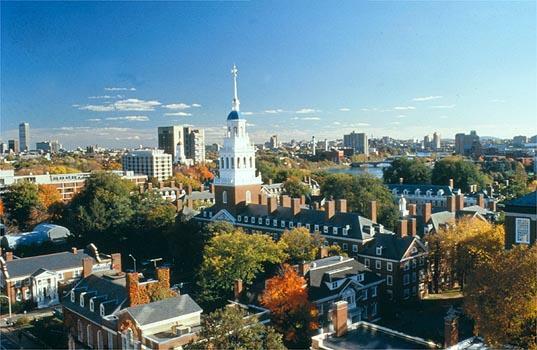 We'll also be able to suggest and pre-book various excursions for your time in Boston. Collect your car on leaving Boston for your short journey to Franconia Notch, New Hampshire where your hiking experience takes place. As the hiking programme doesn't start until 6pm, en route you may wish to stop in the pretty village of Salem. Founded in 1626 by Roger Conant, Salem has a rich history that includes a key role in the spice trade with the East Indies. 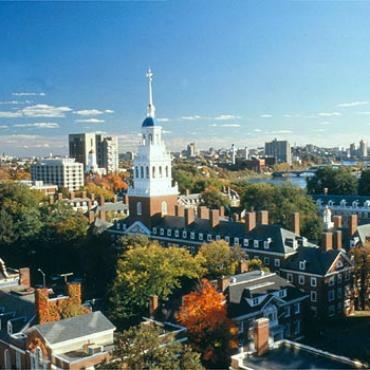 It's also the birthplace of the National Guard and the home of the infamous Salem Witchcraft Trials of 1692. A lunch stop on Lake Winnipesaukee is a New Hampshire must-do. This one of the largest lakes in the USA and is surrounded by three mountain ranges, a wooded shoreline and boasts crystal clear waters. Here you can enjoy a paddle steamer cruise around some of its 253 islands. 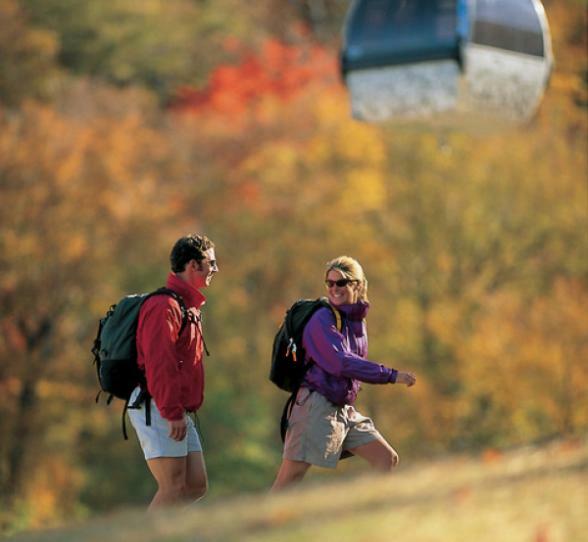 Arrive at The Appalachian Mountain Club early evening for your hiking experience. Each guided day hike takes only a maximum of six people so rest assured your hike will be tailored around your fitness level and abilities. This isn't meant to be a frog-march; it's a gentle hike in beautiful surroundings with a knowledgeable, friendly guide to lead the way. For the full programme and what to wear etc, please click this link. 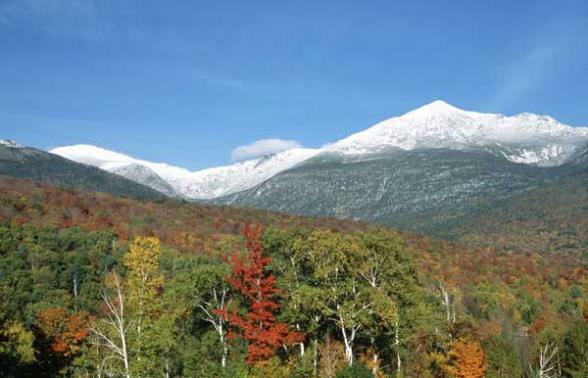 Leave the Appalachian Mountain Club after a hearty breakfast and head towards the rolling hills, covered bridges and pretty hamlets of neighbouring Vermont. You'll want to stop in Chittenden. 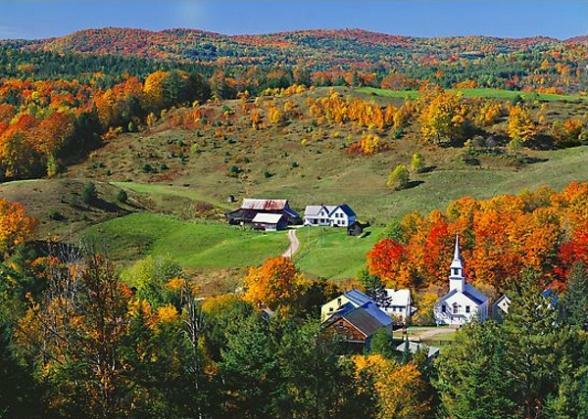 Deep in the heart of the Green Mountains, this area is an ideal location for taking in the absolute beauty of Vermont. Go wildlife spotting, horseback riding or enjoy a hike along the White River. 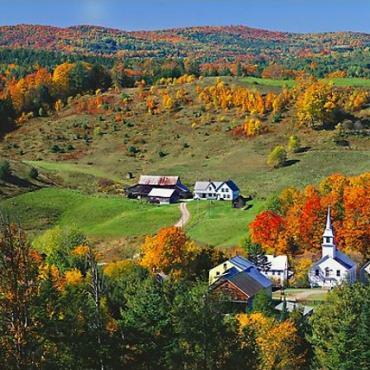 Vermont is world renowned for its dairy products and an Artisan Cheese Maker tour is a very enjoyable way to spend a few hours. 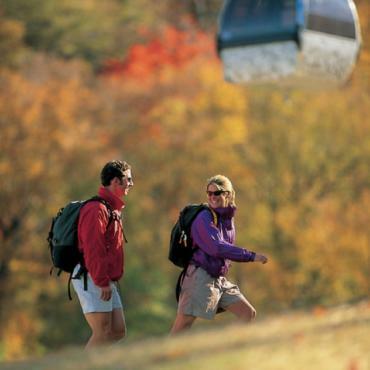 OR, hop on the K1 Gondola Ride in Killington - 4,241 feet up to the top of Killington Peak where you will actually witness views over five states. Now head southwest to the little town of Shrewsbury. 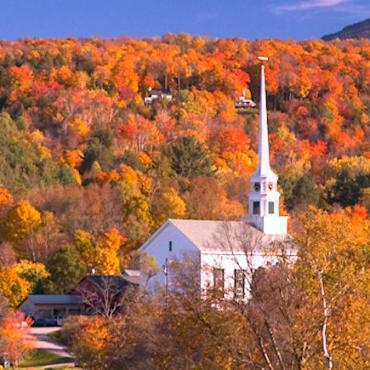 Named after the British Earl, it's home to some of Vermont’s quintessentially New England inns. It is an ideal location for visiting several small historic hamlets in the area. Hunt for books and antiques in Chester or pop down to Vermont Country Store in Weston - a family run treasure trove. Your final stop is just outside Manchester in the sweet hamlet of Dorset. Stop for a swim and sunbath at Emerald Lake and then head into Manchester itself for a visit to the Southern Vermont Arts Center. There's also time for a bit of retail therapy and then finish your day at the beautifully restored Village Picture Show. Travel through the Berkshire Mountains of Massachusetts with a stop in Sturbridge, home to the Sturbridge Living History Museum, before boarding your early evening flight back to the UK from Boston. However, your adventure doesn't have to end here. Perhaps you want to extend your stay and enjoy some time relaxing on the beaches of Cape Cod or maybe head over to New York city for some sightseeing and shopping before flying back home. 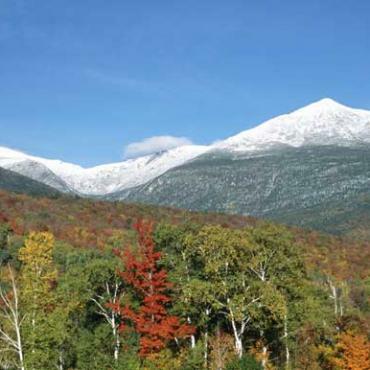 Call the travel specialists at Bon Voyage to discuss your perfect History, Hamlets and Hiking in New England adventure.